From the beginning, competitive racing has been part of Michelin's make-up and backbone. 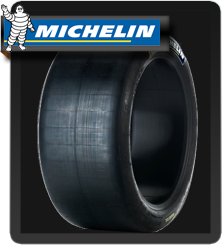 Michelin is the only brand that has developed winning technologies for more than one hundred years. The group has a prestigious and authentic heritage, preserved through a passion shared by everyone in the company. Michelin makes every effort to ensure that its presence in competition will have a bearing on future mobility. They are committed to help their partners achieve victory through the extraordinary quality and performance of the products, along with innovative technologies developed to benefit the consumers.These commitments to success are demonstrated in worldwide, national, local, professional and amateur sport racing. For Michelin, competition is also a better way forward.